One of the few ryokans in Nozawa Onsen that specializes in European-style nouveau cuisine, featuring locally-grown ingredients. The hot spring baths are of a high temperature and are rich in mineral content and are 100% naturally free-flowing. 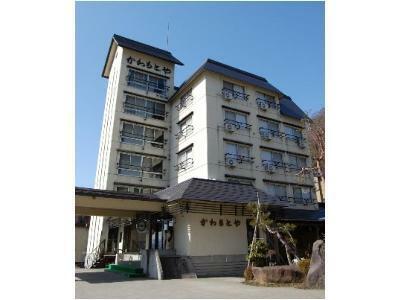 Adjacent to the inn is the “Kuma no Te Araiba” (Bear Paw Washing Spot) public bath so guests can enjoy both onsen baths. In lobby and all guestrooms. From Iiyama Station(JR Hokuriku(Nagano) Shinkansen), Nozawa Onsen Liner bus, "Nozawa Onsen" bus stop (approx. 25 min). 7 minute walk from bus stop. From Toyota-Iiyama IC, via Route 117, approx. 30 min. Ryokan Shikisai no Yado KANOE : Quiet Japanese-style Hotel in a Pastoral Setting Far from Civilization. Forest Tie-Dye : Tie-dye a Bandana Using Twigs for a Forest Momento. Snow Shoe Trekking in the Nabekura Beech Forest : Frollick with Snow Shoes in Nabekura's Powder Snow. Tea Time in Nabekura's Beech Forest : Go Trekking for a Picnic in Nabekura's Beech Forest.